Make sure you and your family stay safe online and never reveal any banking details: This image was posed by a model. 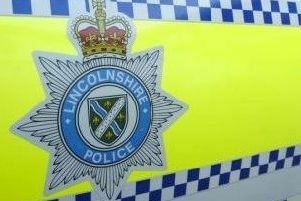 A Coningsby woman has spoken out to warn people about the dangers of scams after almost being conned out of hundreds of pounds. Christine Williams, who suffers from ME, received an early morning phone call from someone claiming to represent BT Open Reach. She says she was offered a new router to boost her home internet speed. The caller also offered a refund but instead, tried to take more than £700 from Ms Williams’ Halifax Bank account. However, staff at the bank were suspicious and stopped the transaction. Ms Williams said: “I have been very lucky. “Yes, I was conned and yes, I feel like a right prat but at least I haven’t lost any money. “My excuse is the phone call actually woke me up and I was half asleep when I was sitting at my computer. “Now I know it was a fraud, I realise that as my payment to BT goes out each month, there should have been no problem with refunding my money. “I’ve spotted many scams before both in emails and on the phone but I missed this one, and it could have cost me dearly. Ms Williams says she was woken by the call at 9.30am. She was asked to switch on her computer and go to a speed testing website to check the upload and download speeds. When she told the caller the results, he confirmed the speed was far too slow. Ms Williams added: “He asked me to go to https://www.teamviewer.com/en/ and download their software so he could check the router. “I’ve had BT take control of my computer in the past so I didn’t see this as a problem. “I then had to run ‘command’ for it (the site) to assess the state of the router. “When this had finished it stated the router wasn’t compatible with a fast speed. It also said I was due a refund of £204.65. I thought, wow! “The helpful man (caller) then said BT Outreach would deliver a new router at 5pm. Ms Williams kept checking her Halifax account over the next few minutes, looking for the refund. She adds: “After over an hour, I got a phone call from my mother as I’d told her earlier what had happened and she was worrying. “I then went back onto my account prior to ringing the Halifax and noticed a red box which hadn’t been there before. “I was told to ring the fraud team. It appears the Halifax had been suspicious when I was making a payment of £704.00 . Thankfully it was stopped! Ms Williams says a full scan has been carried out on her computer to check no tracking device had been uploaded. She has also changed her passwords.